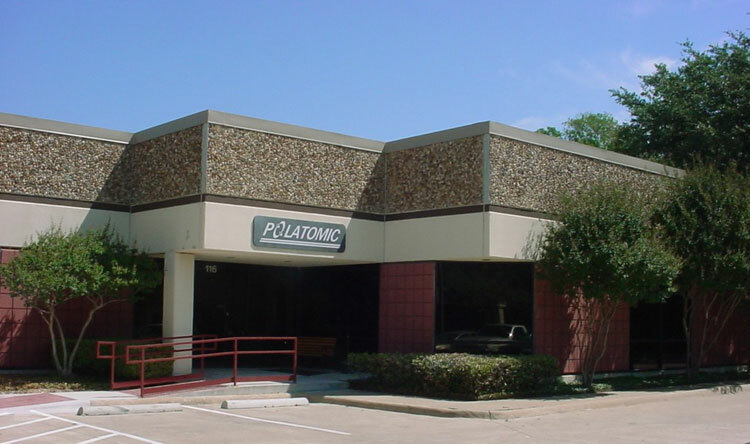 Polatomic's main offices are located in Richardson, Texas. Research and development of the full array of magnetometer products are performed at the main offices. In addition, the company maintains a Magnetic Test Facility (see picture below), which is ideally situated for the testing of sensitive magnetic field measurement instruments. This facility is a former U.S. Coast and Geodetic Survey magnetic observatory, which is located on a 160-acre open-space parcel of land leased from the University of Texas at Dallas (UTD). The facility consists of a main instrumentation building and four outlying non-magnetic sensor test buildings, which are specially constructed of non-magnetic materials. The company maintains a wide assortment of test equipment and computers used in research and development of advanced magnetometers. The company is a corporate member of the UTD community, with access to library, laser lab, and research facilities, and also faculty members that are available for consulting assignments.